‘The test of any social contract is the plight of the poorest, so we judge social policy not by its cost but by its impact on the poor, needy and marginalised”. For the first time, the Presbyterian Church’s Maori Synod conducted the Waitangi Day dawn ceremony. Network Waitangi has published the 2015 edition of 'Treaty of Waitangi: Questions and Answers. More details here. The Salvation Army has released its eighth annual State of the Nation Report drawing on Sir Edmund Hilary mountaineering achievement to inspire us to collectively climb a mountain that will ensure all New Zealand have a fair go. The changes in key social indicators during 2014 reflect a mix bag of social progress. Here are some key points from the report. Houses built in Auckland and Christchurch are not affordable to low income families and this is leading to overcrowding and declining health. Auckland’s housing deficit grew by a further 4000 dwellings during the year to 30 September 2014. New builds have not kept up with population growth. There has been little progress in NCEA grades for children at lower decile schools. The gap between students from decile 1-3 and 8-10 schools leaving with NCEA Level 2 or better has only changed by 0.2% (24.5%). Children and violence (number of offences against children for violence mistreatment or neglect) is up 3.5% to 5,397. Child poverty (percentage of children living in benefit dependent households is down 2% to 17%. However the report calls for more research to evaluate whether the 10,000 parents that have moved from benefits to work has actually lifted their children out of poverty. UNICEF NZ National Advocacy Manager, Deborah Morris-Travers response to the Report calls for a more strategy approach to government’s response to child poverty and more data on what has happened to the 10,000 families (mostly sole mothers) who have been ‘moved off benefits”. The Journal also provided a good overview on the report. Alan Johnson, Social Policy Analyst, The Salvation Army Social Policy & Parliamentary Unit, and author of the State of the Nation Reports, has also prepared an excellent paper, Recent Wealth and Income Trends in New Zealand, for the University of Otago, Wellington School of Medicine Summer School. Well worth a read. When is a ‘major risk’ not a risk? a) ensuring that Community Housing Providers (CHP) are financially sustainable as they expand their coverage. If one of them were to become financially distressed, this could present risks to ongoing tendencies and fiscal risks to the Crown”. c) ensuring that communications with existing tenants enable them to understand any planned changes. Some aren’t too worried though; identifying risk is just what Treasury does… she’ll be right! If you want to read the Cabinet papers/minutes on the Government’s Social Housing Reform Programme, go to the Ministry of Social development website. Meanwhile, the Treasury is busy planning a raft of public consultations on the process for state-house transfers. Go to the treasury site to find out more about these public meetings and about the process for submitting an interest in ‘acquiring or redeveloping state houses for social-housing purposes’. Government capital needed to bring state houses up to acceptable levels. Since when did “Not enough” become ‘enough’ ? According to a new report from Superu .”going without so the kids and my husband can eat”, I’ve taught myself not to want things and I go by what we need, are signs of having ‘enough’ to live on. It can only be assumed the baseline for ‘enough’ has shifted rather low. The Superu report “Perceptions of income adequacy in low income families”, draws on data from Household Economic Survey (HES) on perception of income adequacy. The full report provides more insights than the factsheets but both documents conclude Many low income New Zealand families report that their income meets their everyday needs. This statement goes against the high rates of material hardship our members report. When we unpick the data in the full report we find that only 20% of low income families ($22,000 and 55,000) self-reported their income is ‘enough’. This means 80% of low income families don’t have enough. At the end of the day NZCCSS’ view is that household income remains the most critical factor that determines whether or not a family has ‘not enough’ or ‘enough’ to get by and clever semantics and glossy publications won’t change this. It doesn’t seem five minutes since the last one, but Budget 2015 will be announced on Thursday 21 May, and advocacy for those amongst us who are most- in- need of resources has already begun. Caritas has prepared a written submission to Parliament’s Finance and Expenditure Select Committee, raising concerns that reducing expenditure by $1 billion per year for the next two years will limit the Government’s ability to respond to the needs of vulnerable children and their families. Read the full submission here. Never short of good ideas, Public Good Aotearoa has provided 3 alternative areas of focus for the Productivity Commission [Ineffective use of technology, Positioning of our dairy products, Structure of the electricity industry]. 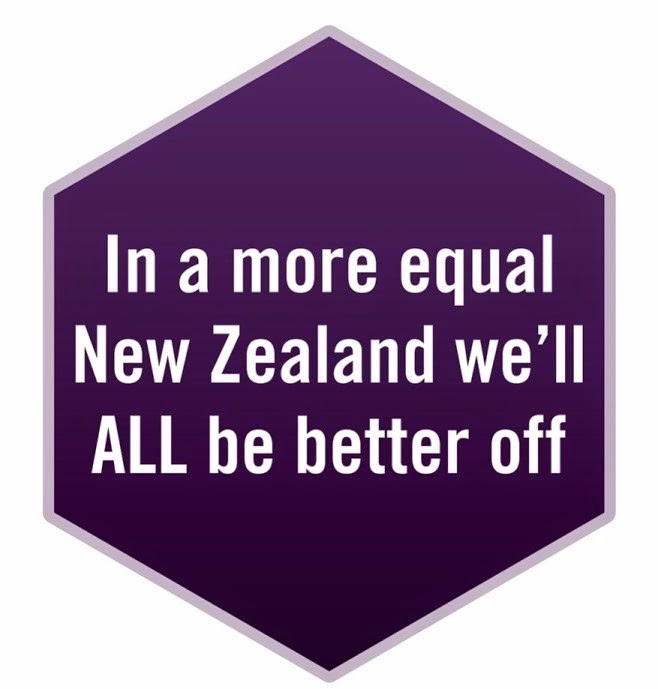 These suggested areas are seen to be far better candidates for increasing New Zealand’s productivity than simply reviewing the social service sector from the perspective of a ‘market for social care’. Philanthropy New Zealand invites all not-for-profit organisations to attend The Philanthropy Summit 2015: Understanding the 21st Century donor, being held in Auckland on 17 April. This one-day event is a unique opportunity to network with some of New Zealand's leading grantmakers and the wider not-for-profit community. It will offer insights into how and why grantmakers decide who to fund. Plus you'll learn about the latest trends in grantmaking, and what you can do to ensure your application keeps rising to the top of the pile. Find out more and register online. Community is the Answer: What’s the Question? by Tara D’Sousa, National manager Social Service Providers Aotearoa Inc.
Funders and communities are expecting more information and evidence about the impact of community services and initiatives. http://www.communityresearch.org.nz/what-works-a-new-programme-from-community-research/ Based on a call from the sector, Community Research is developing a new website that will feature the tools, approaches and resources to help community groups know what, if any, difference they are making. An article in the latest Aged-Care and Retirement InSite Magazine is rife with speculation about how the equal pay case could play out in legislation. The purpose of Local Government Funding Review is to review the future adequacy of existing funding sources available to local government. Feedback is due 27 March 2015.